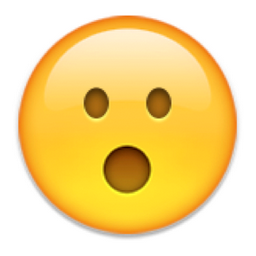 Oxford Dictionaries' Word of the Year for 2015 might just be taking emojis out of the professional no-fly zone. Translation for those of us who stubbornly insist on using our words when we communicate: tears of joy. Defending its choice, Oxford has cited data about emoji use in 2015, affirming that emojis convey feelings in a way that transcends language barriers. They're more popular than ever. It's even been suggested that emojis could be a viable substitute for language. They're multiplying. They're getting more complicated. People all over the world are using strings of them at a time to communicate ever-more-complex thoughts. Emojis, it's said, are the future. Again. Is it that far-fetched to believe that emojis might also be moving towards becoming an accepted norm in our professional communications? There is an invisible line that we all toe in our work emails. I always feel--and I don't think I'm alone--like I'm searching for the right balance of words that project "consummate professional" on one hand and a certain level of breezy coolness and likability on the other. Historically, emojis have fallen safely within the no-fly zone as far as what's acceptable in a business-related email. In fact, one of my external publishing clients addressed the elephant on the screen in a recent communication; he wrote, after a lighthearted turn of phrase, "A normal person would put an emoticon smiley face here, but unfortunately I've sworn an oath against emoticons." He's far from alone in that sentiment. Emojis, emoticons, "smileys" -- whatever you call them, they've been a huge no-no when it comes to looking mature and dignified in electronic communication. And then Oxford Dictionaries made us go and question everything. The one-emoji reply. Let's say something positive happens. Awesome, right? Your boss or someone else in the company sends you a congratulatory note in which your many accomplishments have been recognized. You hit reply, and offer . Nailed it! It's simple and actually saves you from potentially saying something awkward. The one-emoji forward. You've just read something really surprising about one of your competitors. You decide to forward the article along internally, and do so, adding your impression: . Gets the message across rather nicely, doesn't it? "Look at this surprising thing I saw!" No additional words necessary. 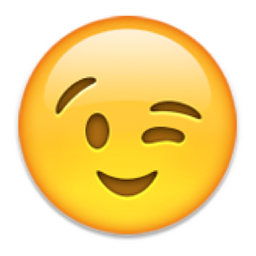 Emojis can be great for capturing a succinct feeling. Disclaimer: This works best when the feeling is positive or neutral. The pleasant punctuation. "Have a great weekend! " It's nice and completely benign. One good common-sense rule to follow when employing the delicate art of the emoji at work is stick to the simple ones. Don't go all crazy with the smiling cats or aliens or unicorns or anything else weird. You will be judged. I'll add a corollary to that rule: stay away from . That one's just creepy.